Mike and Annie starting to work on their frog stands. CrossFit = An effective approach…. In gyms and health clubs throughout the world the typical workout consists of isolation movements and extended aerobic sessions. The fitness community from trainers to the magazines has the exercising public believing that lateral raises, curls, leg extensions, sit-ups and the like combined with 20-40 minute stints on the stationary bike or treadmill are going to lead to some kind of great fitness. 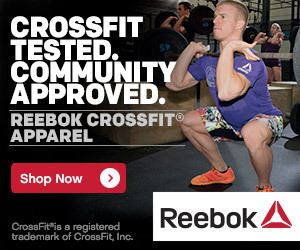 Well, at CrossFit we work exclusively with compound movements and shorter high intensity cardiovascular sessions. We’ve replaced the lateral raise with push- press, the curl with pull-ups, and the leg extension with squats. For every long distance effort our athletes will do five or six at short distance. Why? Because compound or functional movements and high intensity or anaerobic cardio is radically more effective at eliciting nearly any desired fitness result. Startlingly, this is not a matter of opinion but solid irrefutable scientific fact and yet the marginally effective old ways persist and are nearly universal. Our approach is consistent with what is practiced in elite training programs associated with major university athletic teams and professional sports. CrossFit endeavors to bring state-of-the-art coaching techniques to the general public and athlete who haven’t access to current technologies, research, and coaching methods. Showing off our best features!